To improve community awareness and facilitate access to both mental health and social care, and to promote wellbeing. First, mental illness is a substantial public health burden in India with the prevalence rate estimated between 5-7% of the population, and 3% of all reported deaths attributed to suicide. Second, there is a shortage of mental health professionals, particularly community-based professionals. Third, both case detection rates and help-seeking behaviour are low, especially in rural areas. This is further compounded by high stigma and the lack of easily accessible mental health care, thus many people do not receive the care that they need, resulting in a startling treatment gap of nearly 80-90%1,2 for mental illness in India. The Atmiyata approach on the other hand, is a distinct approach from the health sector approach but complementary, as it is a community led innovation for the detection, support and referral for persons with common and severe mental disorders. The innovation involves a two- tier community led mental health model that develops capacity of community volunteers (Atmiyata champions and mitras) to detect and provide primary support and counselling to persons with common mental disorders. The innovation also uses digital approaches that promote capacity development and raise community awareness of mental health. Each champion is provided with a smart phone that includes capacity development and community films. The second innovative aspect of the Atmiyata intervention is its integrated care approach: Horizontal integration (integration of care between mental health and social care); vertical integration (integrating professionals working at the community level, primary care level and tertiary care level), and between preventive and curative services. “ After getting trained, I realized that stress at the family and personal level, and feeling of distress is also a part of mental health problems, and physical complaints like backache or headache have underlying cause of stress and related problems. 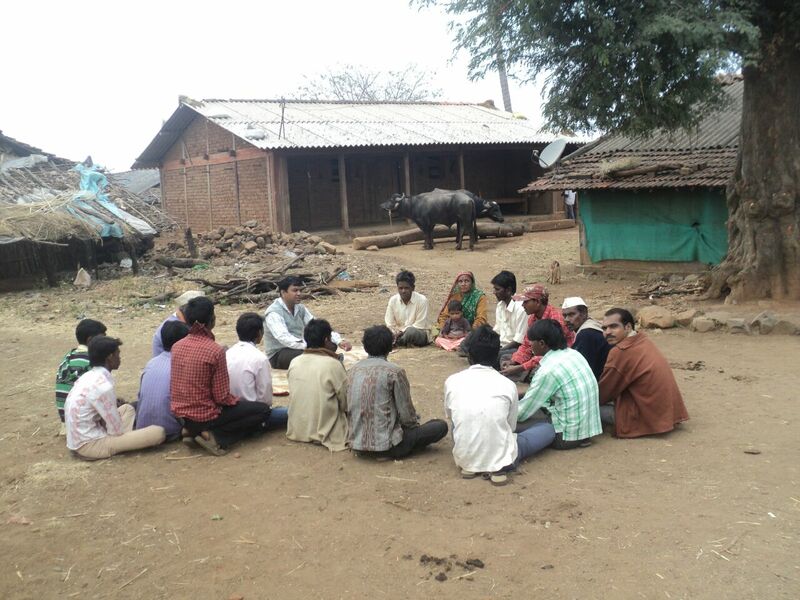 This innovation adopts a quasi-experimental field trial approach; it is implemented in 41 villages in a rural area of Maharashtra through trained community mobilizers from community based organizations such as self help groups (SHG) and farmers clubs (FC). 15 in-depth interviews and 10 focus group discussions with the community will inform the needs of the population. This will serve as a way to grasp the constructs, lexicon and patterns of wellbeing, mental health and social determinants of health, resulting in a culturally appropriate needs-based intervention. The training programme will be similar in content to Australia’s Mental Health First Aid, in that it mobilizes community members to identify and detect mental illness, and equips SHGs with the ability to differentiate common mental health disorders (CMHD) from serious mental illness (SMI). 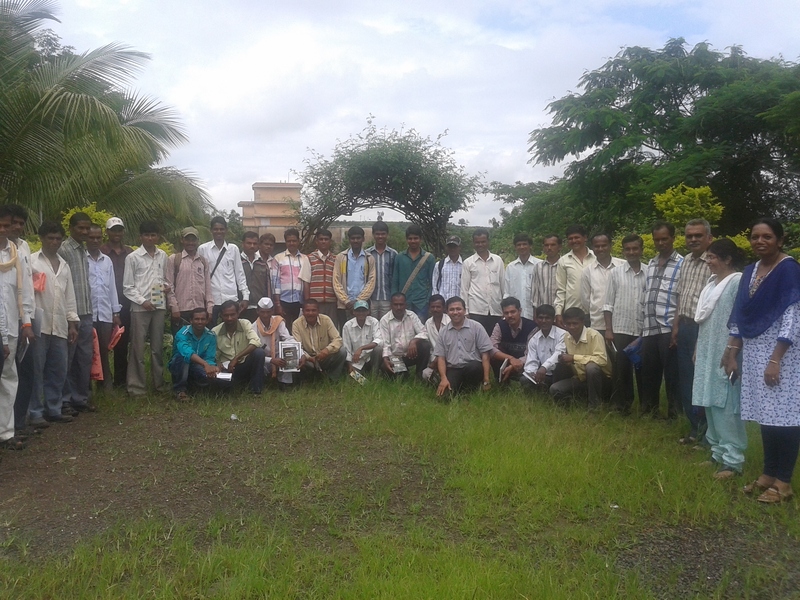 All training will be delivered in the local language (Marathi). The training takes a rights based approach by enabling the leaders to understand and recognise the right to health, inclusion in the community and access to community based services; in addition to the right to freedom from abuse and human rights violations. As access and entitlement to social benefits for people with mental health problems is a major and crucial part of the program, community mobilizers will aid in ensuring that all people consulted are empowered to access the benefits. These community mobilizers are voluntary workers; most of them are leaders of self help groups or farmer’s clubs and we call them ‘champions’. Doctors and social workers posted at the NGO (BAIF) centre in Peth will also receive training on identification, referral and social care benefit. PHC staff will receive training for the identification and treatment of CMHDs, as well as follow up for SMIs and referral to the district hospital. Identified community mobilizers will support people with emotional distress and stress so they (and their families) can better cope with stress. This level of intervention is necessary as a prevention measure for the development of CMHD and SMI. The community mobilizers in 41 villages will be trained to detect, refer and follow-up with people with CMHDs. Basic supportive counselling and active listening skills will be provided. Access to treatment for SMI at both the primary healthcare centre and district hospital levels will be facilitated. The care and referral pathway is based on a stepped care approach, stepping up care as a client has a need for more intensive services. Community mobilizers provide basic community-care, and specialist care is provided by the government-funded public health system. Awareness activities in the community will include role play, posters, events at local colleges, and community addresses. NGO staff and community mobilizers will lead these activities. The purpose of these activities is to raise the awareness of mental illness within the community. Community mobilizers are volunteers that will ensure that this model is sustainable. Their support and willingness to remain involved is crucial for its continued success. The short films, loaded onto the smartphones, can be transferred through a mobile application which can be downloaded freely. This will ensure that the films can be used in the future, for no additional cost. In this project there is no direct involvement of the Government agencies. There is also a lot of stigma and reluctance in Government system to work for mental health. It was a challenge to motivate community mobilizers due to a lack of payment for these services – i.e. they were working on a purely voluntary basis - this was particularly a challenge for men. Factors that proved to be motivating included improvement of their status within the community, helping them to manage stress effectively, and ability to use smart phones. We used an agency to conduct the baseline survey, and experienced challenges with the way interviews were conducted – for example, guidelines for informed consent were not adequately followed. 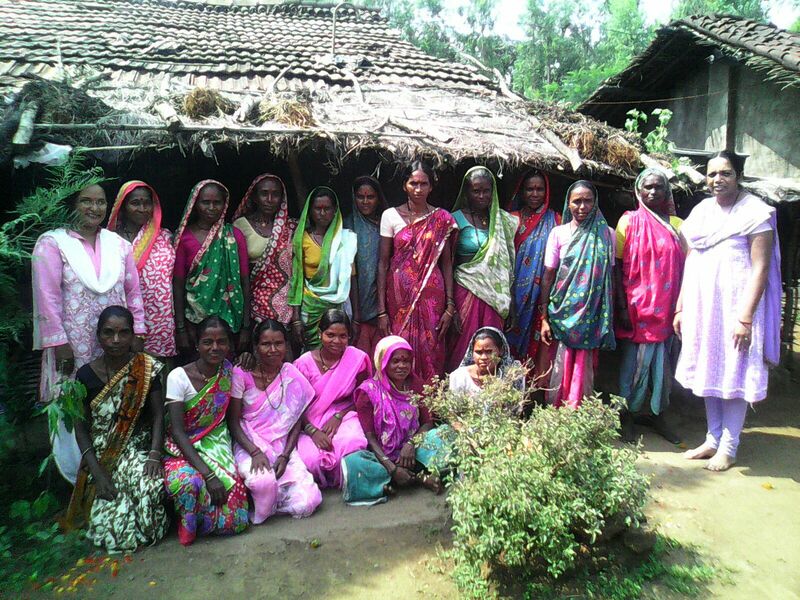 Through the use of NGO’s network of self help groups in state of Maharashtra, the innovation can be scaled up to 2-3 million people. The team also plans on proposing the integration of the community mobilizers into the Government’s Mental Health Programme, which will further increase access to care. ATMIYATA will adopt a quasi-experimental field trial approach, implemented in 41 villages in the Peth Block of Nashik district in the state of Maharashtra. A neighbouring block with similar characteristics to Peth will serve as the control block. The study population will include all men and women (>18 years of age) from 41 villages. A total of 900 people from study and control area will be surveyed to detect a decrease in reported symptoms between baseline and endline. Total cost for this project is approximately $230,000 USD funded over two years. A cost effectiveness analysis will be conducted at the end of the project which will include an estimate of scale-up costs. 14,000 people in 41 villages were screened with a reach of 7,600. A total of 1150 people have been treated to date with a common mental health illness and 183 with a severe mental illness. A total of 1,340 people are accessing social benefits. The number of community facilitators trained is 59 champions and 303 Mitras (friends). The number of community members who have viewed films as an awareness raising activity is 7,622. There was a 27.5% (from 63.8% to 36.3%) reduction in proportion of cases. Pre intervention 14.2% with GHQ score 6+ (n= 120) and post intervention is 9% (n=76). An 80% improved wellbeing outcome was noted after the intervention. Goel DS et al. (2004) Mental Health 2003: the Indian scene. In Agarwal SP (Ed). Mental Health: an Indian perspective 1946-2003. Directorate General of Health Services. Elsevier, 3-24. Situational analysis of mental health in India (2013). Prepared for the National Mental Health Policy, Commissioned by the Ministry of Health and Family Welfare, Government of India.